Today’s feast commemorates the event of the holy family paying a visit to the Jerusalem Temple, 40 days after the birth of Jesus to perform two rituals: the first is that of the presentation of a first born son who is to be redeemed from God and the second is the purification of the mother since child birth had rendered her ritually unclean. So, it is not only the Feast of Jesus, the Son of Mary, the Son of God. It is also the Feast of Mary. 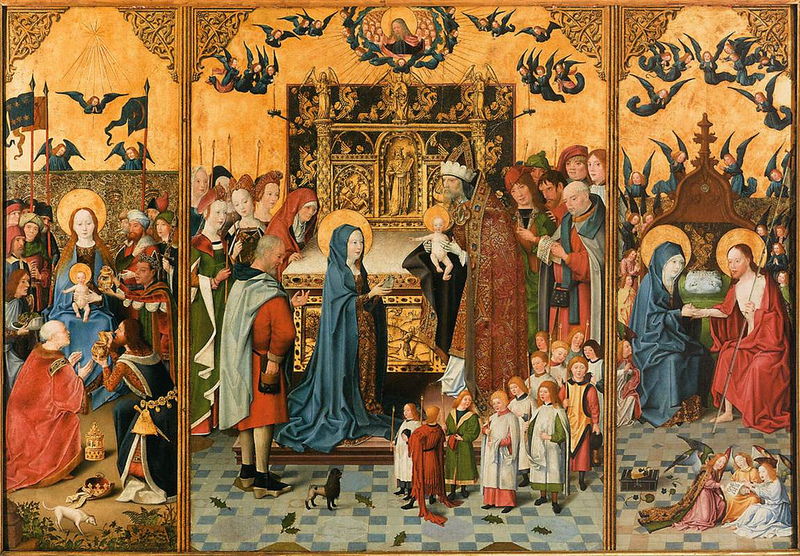 The feast of the Presentation of the Lord is a kind of little Christmas, where God’s love who took human flesh at Christmas is now reflected in the response of the mother. Today, we are invited into the school of love, to sit on the lap of Mary as she faithfully teaches us how to love the Lord. There is much that we can learn from her. So what does Mary teach us of love? Mary teaches us that ‘love means letting go.’ Mary and Joseph follows the ancient Jewish custom of presenting their first born son to God at the Temple. But more than just blindly following a tradition and custom, Mary understood the truth of her actions. This child does not belong to her. This child belongs to God. Mary understood from the very moment the angel announced his conception in her womb, she would not be able to force or manipulate the direction of his fate. This child comes from God, he will live a life in accordance with the will of God and when his earthly mission is accomplished, he will return to God. Unlike other parents who often behave in a manner which indicates possession of their children, controlling their future, their career and even their love life, Mary’s love would provide space for her Son to fulfill his mission, even though this would mean breaking her heart at the end. Mary’s love also teaches us that Love purifies or to be more accurate, it sanctifies. Mary, having given birth to Jesus, undergoes a ritual of purification. But Mary is in no need of such purification because she is the Immaculate Conception, the true Ark of the Covenant unsullied by original sin, the true temple of the Lord, her son Jesus. St Augustine tells us that Mary’s love first conceived in her heart and then in her womb. So what is the single most important sign of holiness? It is love. Scriptures constantly remind us that the beginning of love does not lie with the individual man or woman trying to be more caring. The beginning of love always begins with God’s love for his people even though they remained sinners. Therefore, let us rejoice together with Mary as we offer our thanksgiving to God for the gift of His Son. Indeed, the Light has come into the World to illumine our minds and our hearts, to teach us see not with our physical eyes, but with the eyes of faith and love. Here is the one who teaches us that love always mean being ready to let go and not seek to posses; a love that risks wounding and is always ready to share in the passion of Christ; and finally, a love that purifies, sanctifies because God chose to become man in order that men may become gods.